Welcome Home! We look forward to the return of Sisters Ellen and Kim on Sunday, September 2nd. They have been visiting our Congregation in Tanzania, East Africa since August 16th. See their most recent reflection on the visit below. Beatification of our Foundress! It is our joy to announce that on September 9, 2018, Mother Alphonse Maria will be beatified in Strasbourg, France. Please join us in praising God for this profound honor to be bestowed upon our Founder who will soon be known as Blessed Alphonse Maria Eppinger. May all who continue to live the Redeemer charism through works of mercy and acts of love receive special graces during this joyous time. Several Sisters, Redeemer Associates, and Co-workers will travel from our American Province to attend. Mass of Thanksgiving – To honor extraordinary event of the beatification of our Foundress here in our American Province, there will be Liturgy on September 23rd at 3pm at St. Albert the Great Parish. Eucharistic Adoration –1st Friday of each month at our Redeemer Chapel. You are welcome between 3 – 5pm on Friday, September 7th. Evening Mass & Supper – Join Sisters for Mass and a simple meal. Last Monday of each month at 6pm. Next date is September 24th. Respond here to attend. 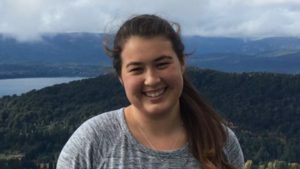 Redeemer Ministry Corps Missioning – on August 26th, during Sunday Liturgy Jackie Hutchinson formally began her year of service as a Redeemer Ministry Corps volunteer. We give thanks to Jackie for taking this leap of faith! 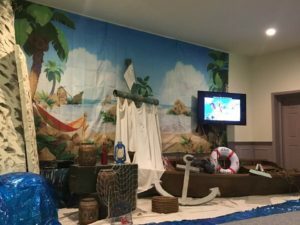 Vacation Bible School – Thanks to Sr. Maryanne King we were able to offer VBS for the 8th year in a row. And it was a success once again in big part because of the many volunteers who gave hours to building props, decorating, and guiding the children. What a wonderful experience to be here again and part of the two celebrations (dedication of a new school building and the 60th anniversary of the congregation in Tanzania). 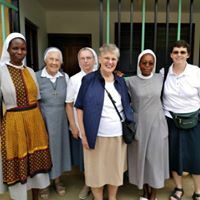 We visited all of our convents and ministries (10 places, traveling very far to each place), but happy to see the ministries of our sisters and the people they serve. Yesterday I went out to the Village in Mtwara where our sisters do home visits and bring food to the most vulnerable poor once a week. 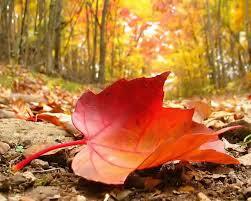 I cannot get the images and sights out of my mind seeing God’s special people. So many precious children followed us through the village that I was happy that Sr. Herigard and I still had candy (pipi) to hand out to the children. A simple piece of candy brought much joy to the faces of these children. The only place that we did not travel to was Mbinga, this is were we are having a new well built since the people there do not have water. It would take two days to travel to this place so I will need to come back again. We have seen many places and I personally experienced many new things, such as the culture, how to use use the resources well and conserve what resources they have here in Tanzania. The celebrations were wonderful to be a part of and to experience how the Sisters celebrate. 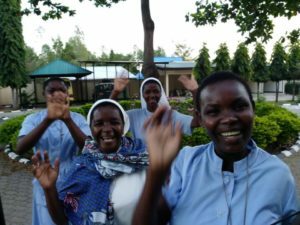 Our time has been so full, but as I think about my personal experience here, I remember especially Luagala, where we have a convent and ministry. During my time in Luagala I went out to the village with the second-year novices. During our journey through the village on foot I thought of Mother Alphonse and how she went out to the poor people in the village. I experienced people in the village that were so poor that one elderly woman did not have anything to eat all day, so I gave her a few packs of trail mix that I had in my camera bag. The woman was so grateful to receive something so small, even if only a snack mix, it made me appreciate what I have in America. 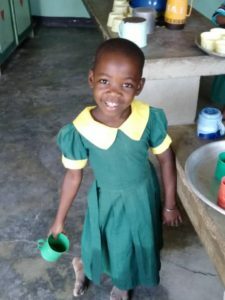 During my time here in Africa I have realized once again how truly blessed I am to have my basic needs met, and that there are ways that I can live more simply when I return home. 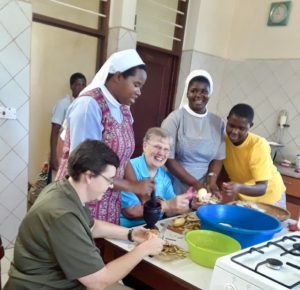 The Sisters here in Tanzania have taught me a lot about how they live out the mission and religious life in their own culture.